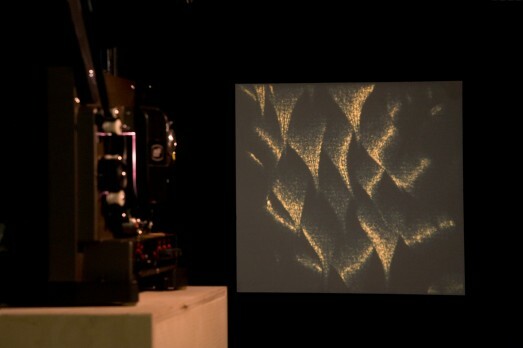 This film installation features an animated image of a Parnassius mnemosyne butterfly wing as seen under a microscope. ‘Mnemosyne’ refers to the personification of memory in Greek mythology. Author Vladimir Nabokov, also a renowned lepidopterist, included his drawing of Parnassius mnemosyne in his autobiography, Speak, Memory. 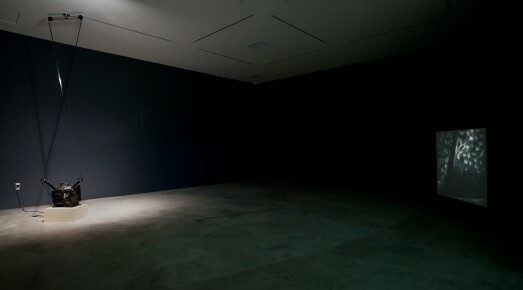 The memoir is known for having been published in a string of ever-changing iterations, reflecting the instability of subjectivity and recall. 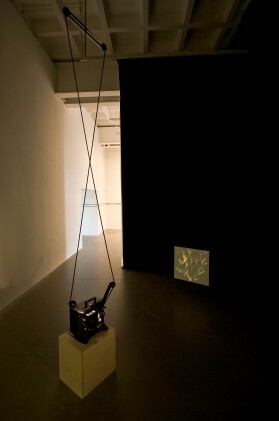 In the installation, a strip of 16mm film is twisted once and its head is spliced to its tail, forming a möbius strip—a surface with only one side and only one boundary. 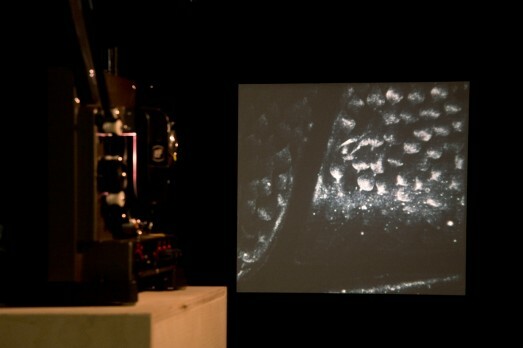 Whenever the splice—where the head and tail are joined—passes through the projector’s gate, the image flips along a vertical axis.